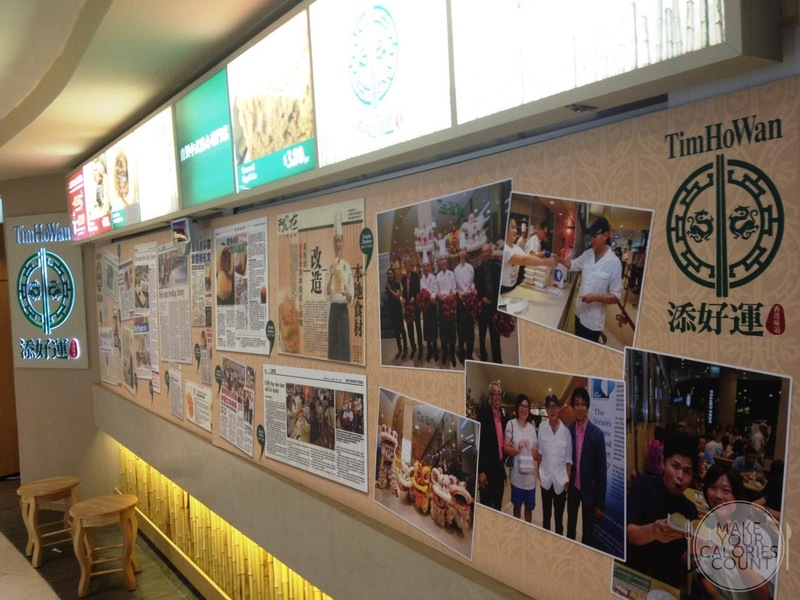 After trying the Michelin 1* dim sum specialist, Tim Ho Wan at their flagship eatery at Mongkok (now relocated), it was hard to find an outlet that could match the standards. Even the outlet at Hong Kong's central, IFC, had some hits and misses. 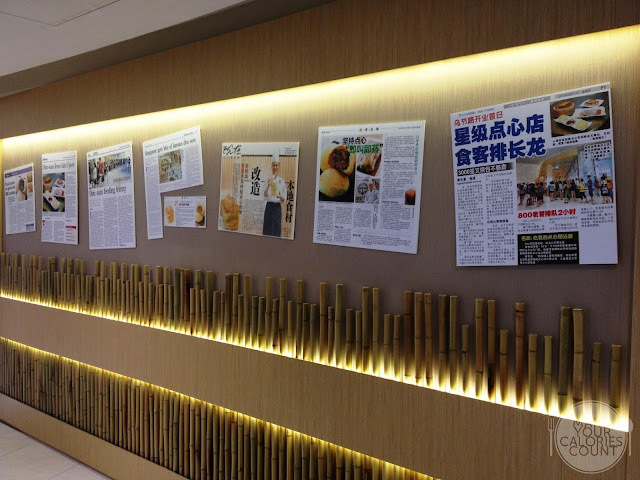 It was with great scepticism that we decided to evoke that Singaporean spirit of queuing up for gourmet food. 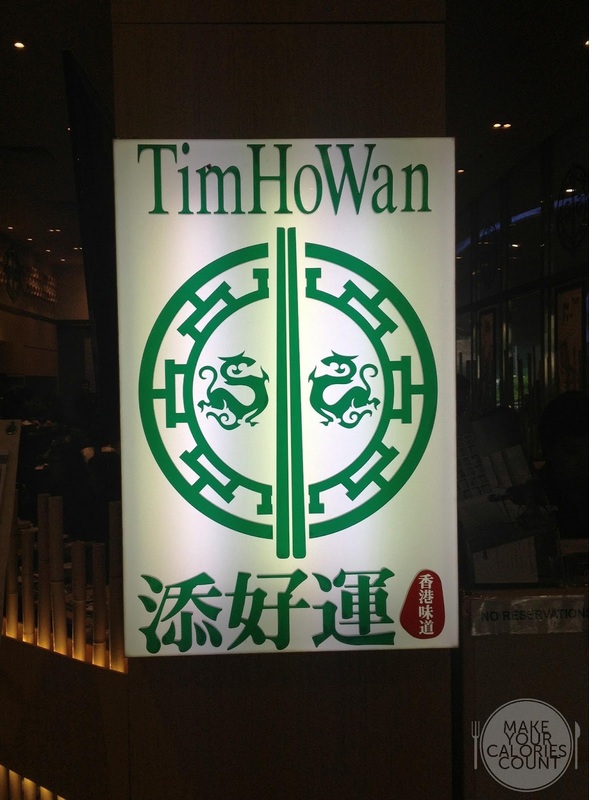 Having read reviews of customers queuing up to 3 hours to try Tim Ho Wan's dim sum at their first outlet located at the Plaza Singapura Extension was somewhat too ridiculous so we decided to visit during off-peak dining at around 4pm in the afternoon on a weekday. Was there a queue? Well, it seemed like many others were thinking on the same wavelength because we waited for about 40 minutes before a table became available. 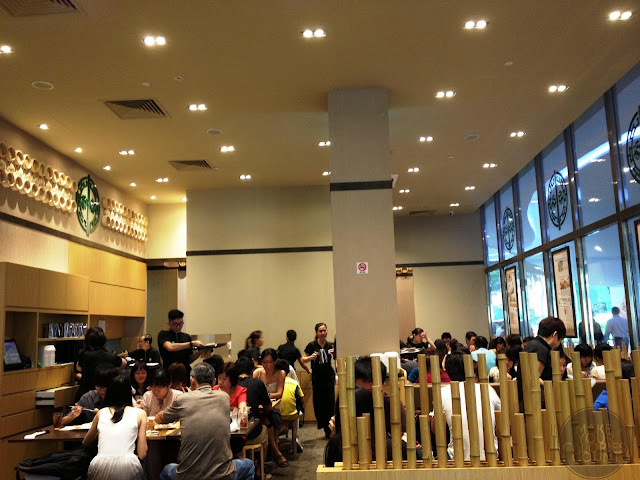 There was a receptionist who would walk down the queue to take note of the number of diners for each queuing person and like the outlets in Hong Kong, all diners had to be present before you could be offered a table. Nonetheless, the service and attitude of the receptionist and waiting staff was pleasant and polite, certainly a far cry from the flagship eatery at Mongkok. 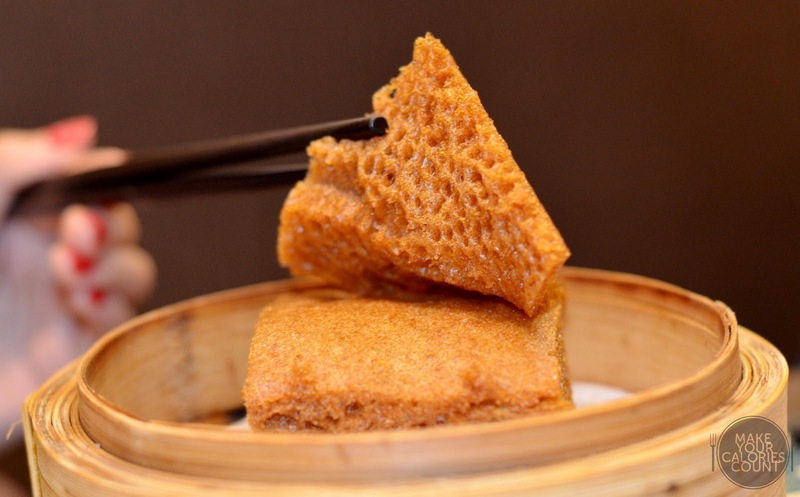 It was especially difficult for us to not to draw comparisons when it comes to judging considering the fact that we tried, in our humble opinion, one of the best dim sum, at the flagship eatery. 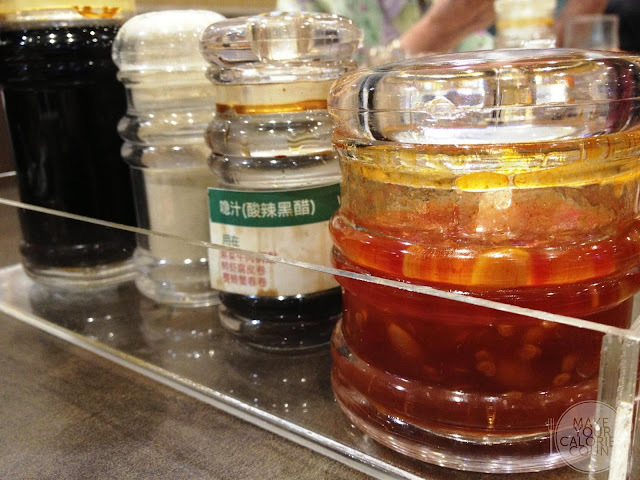 Anyhow, let the taste buds do the tasting and judging! Splitting open the bun left us disappointed almost immediately. The bun had a thin crisp surface but it was rather 'stiff'. 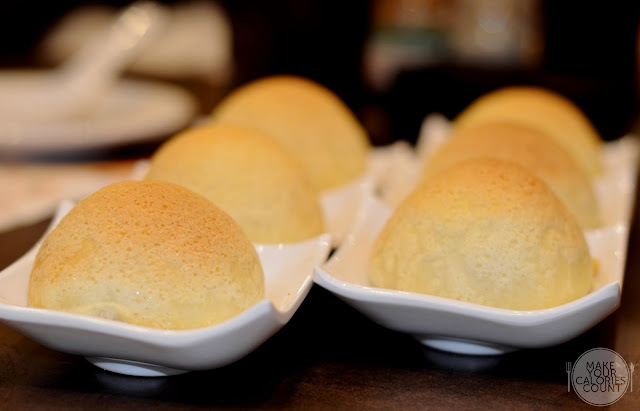 (Think those classic Japanese 'rock melon pan' buns) Comparatively, the rendition tried in Hong Kong was crisp but crumbly upon each bite. It was also smaller in size and at S$1.50 per bun, the next question to ask would be, how was the filling? 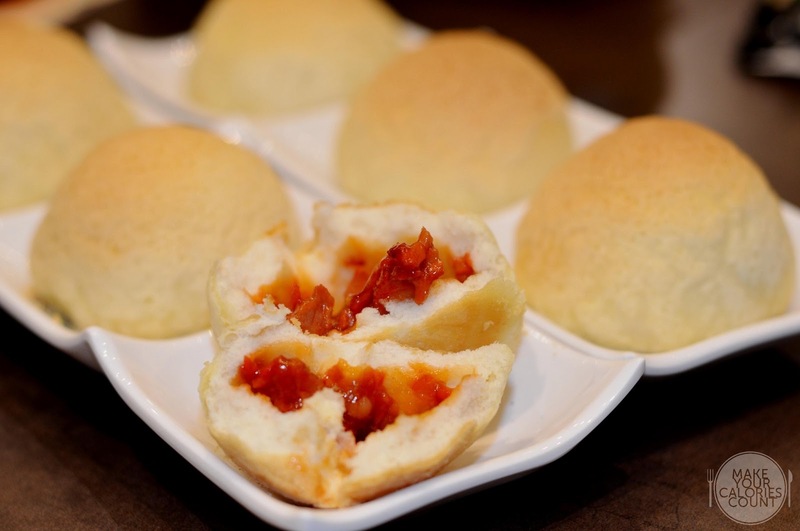 Admittedly, it was one of the better char siew buns found in Singapore but we found it lacking in taste, flavour and quality when compared to the one tried in Hong Kong. The seasoning for the filling was different, with this being sweeter and even appearance wise, too 'artificially red', in our humble opinion. We preferred it the way it was dressed in the Tim Ho Wan in Hong Kong where the seasoning was of a rich savoury sauce that had a beautiful roast flavour. We also enjoyed the fact that the bbq pork (char siew) used in Hong Kong came in sizeable chunks rather than shreds, which to us, delivered a solid savoury punch better. 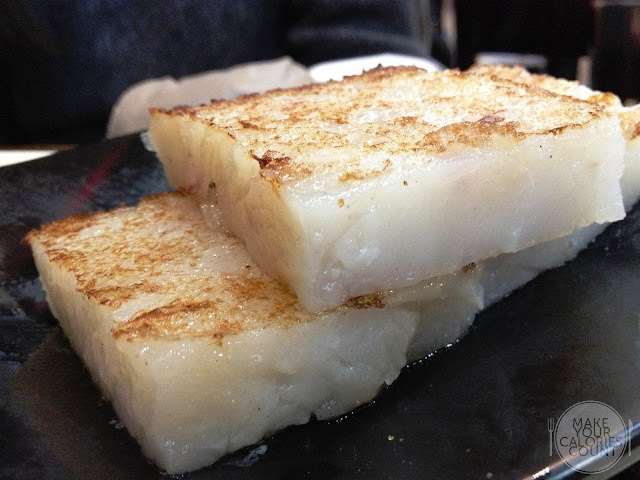 This had always been a 'must-try' on our dim sum checklist but this was disappointing to say the least. 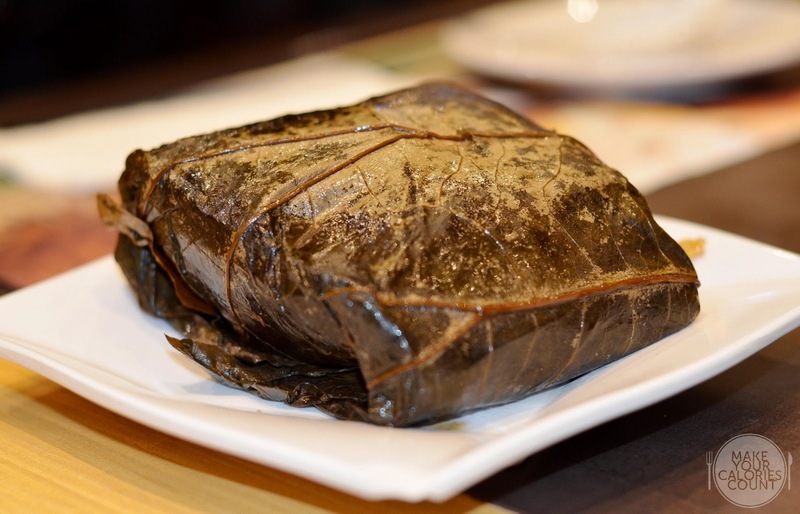 There was a beautiful fragrance upon the unwrapping of the lotus leaf but slicing into the glutinous rice was our worst nightmare came true. 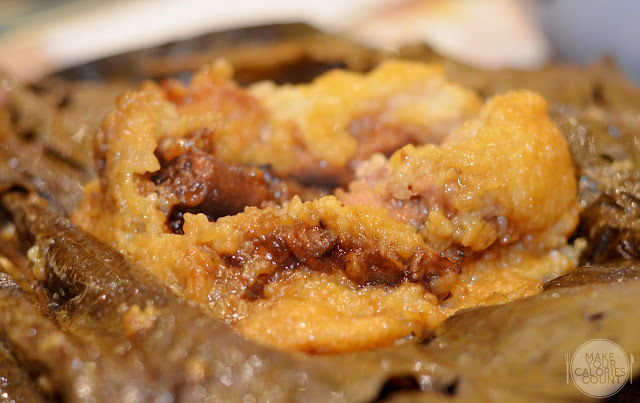 The glutinous rice was overcooked and while retaining the moisture trapped underneath the lotus leaf, it was soft and mushy. There was a fine line separating soft moist glutinous rice and mushy and this unfortunately came not-so-desirable by our palate's standards. That being said, the flavours and fillings of the glutinous rice worked harmoniously for an enticing savoury taste. The fillings were also generously packed with chicken portions and Chinese mushroom in big chunks. It was slightly different from the one in Hong Kong with the lack of soybeans (or at least not present in our glutinous rice) but this would have definitely tasted better if the glutinous rice was not overly mushy. I was rather surprised that this steamed egg cake came the way it was served. The top layer was actually peeled off and this usually spelt some problems with the technique or preparation work. Nonetheless, with the usage of muscovado sugar, it gave a darker shade of brown, coarser and stickier from the normal brown sugar. 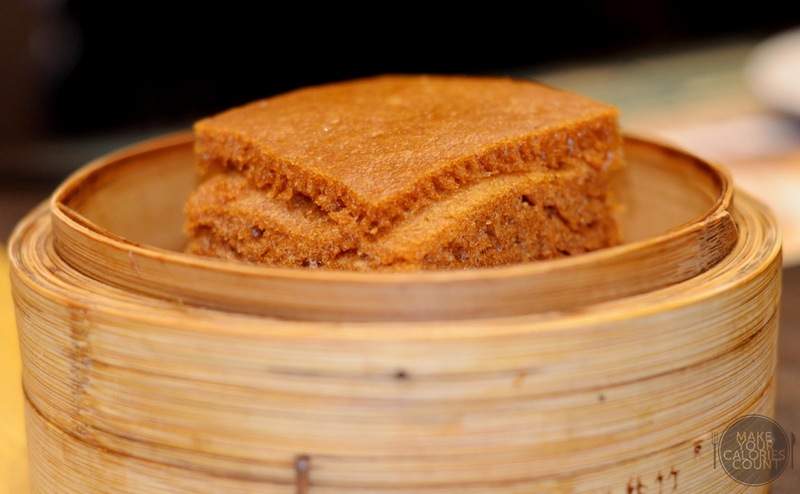 This gave the steamed cake a much richer flavour and taste and left us with a tantalizingly sweet after-taste. While we thought that the presentation could do with some touch up, the taste and flavour was spot-on. The pan-fried carrot cake was nothing too special on its own despite the nice crisp on the surface. The filling was rather bland and dull in terms of flavour and texture. It tasted soft but not there was no real flavour which we could associate it with. 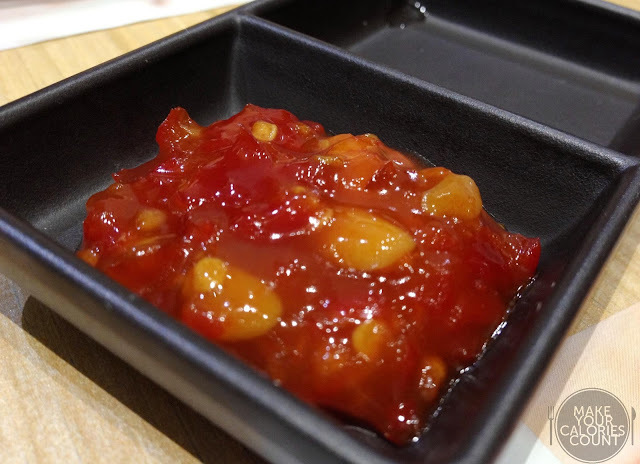 It was when we were struggling to finish the food that I decided to put on some chilli sauce (provided at each table) that saved the dish. The chilli sauce was one of the best concoctions tried, with an interesting addition of soft peanuts. It was mildly sweet and spicy and the balance in flavours was brilliant. This chilli sauce did justice to the carrot cake, making it a whole lot more palatable. This was a classic stomach warmer on any given day. With eggs beautifully blending with the porridge, it was simple and nutritiously good. 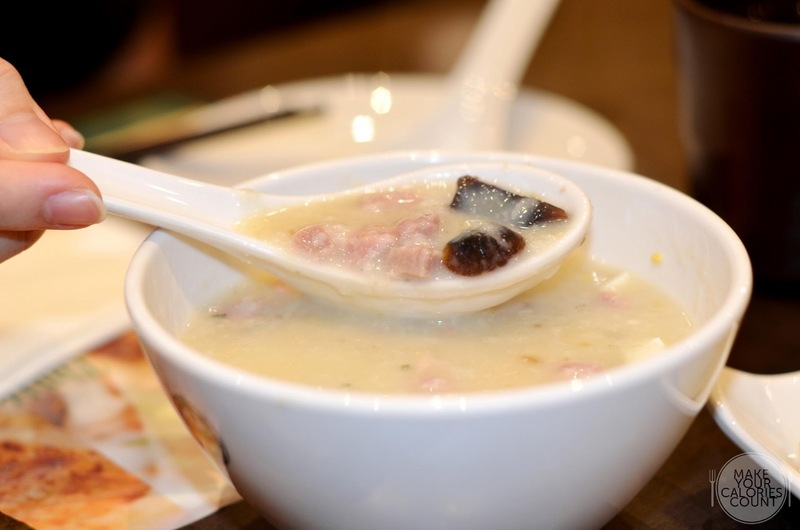 The century eggs and lean pork were served in small portions, making it easy to go down every spoonful. The lean pork was not overly cooked to make it stiff to the bite. The savoury porridge was smooth and basically we just drank it!